Paige @ Pt England School: Story starter! 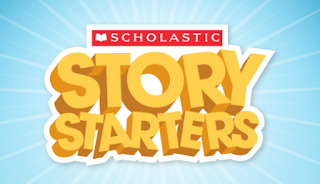 If u want to make your own story starter click the photo above! Once upon a time there was a mum bee who just had a son. Four years she didn’t know what to name him, until when she found out that every time her son talked to her he always wished that he was strong. So the mum named her son strong bee, her son was so proud of his new name. Strong bee was 6 years old, His skin colour was orange and yellow, He loved soap and bubbles. Strong bee was waiting until it was christmas he always wished he had soap bubbles so he can ride on it. It was finally time for christmas gifts everywhere, and strong bee woke up flew down stairs and shouted out “CHRISTMAS IT'S CHRISTMAS MUM”. Strong bees mum woke up went down stairs and gave strong bee his gift. ride on it and it finally worked. Strong bee dashed outside blew the soap bubble and it worked. He was so thrilled that his soap bubbles worked. Strong bee hoped on the soap bubbles and rode around on the soap bubbles in his backyard. I'm Mark, a teacher working for the Summer Learning Journey you signed up for at the end of term. I was just having a bit of a browse through the blogs (because I comment on everyone's) and saw that you hadn't started yet, but I also noticed you can write amazing stories! So I thought I better say something like "Hey! Please join in on the Summer Learning Journey so I can read more stuff that you write!" because you are a good writer! Anyway, if you can't remember, the Summer Learning Journey these holidays is all about travel and learning about other cultures. There are lots of different activities and you can win prizes by collecting points and commenting on others blogs. I hope you join in, at the very least, it will help you stay sharp for when school starts. In any case, I hope to see you online soon, or if not, then I hope you have a lovely holiday!